Unfortunately, many on slack & twitter are focusing on the Practical Applications and not the principles. The architectural principles are more important, than how we support/implement the website; So in this blog I will make a brief introduction to the principles. Now whilst not strictly part of Modular Architecture – I believe all software development should adhere to SOLID principles. Is a way of grouping classes to make them more organized, manageable and maintainable! It helps us understand which classes can be packaged together which is called package (module) cohesion and how these packages should relate with one another called package (module) coupling. The result of packaging in Helix terminology it is called a Module (not a package); therefore, for the remained of this blog I will use module i.e. Module Coupling/Cohesion etc. Module Coupling is the corner stone principle in Modular Architecture and determines how modules relate/depend on each other. 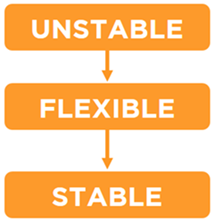 Depend in the direction of stability – a module should only rely on modules that are more stable than itself. A stable piece of code is one where its interface does not change over time. Features are expected to change over time and are less stable, as requirements change and or new requirements occur. Unstable code is not bad but a reality! The following principles help identify what should be packaged together as a module. The classes in a module should be closed together against the same kinds of change. A change that affects a module affects all the classes in that module and no other module. What changes together, should live together. Essentially means that the module must be created with reusable classes — “Either all the classes inside the module are reusable, or none of them are”. The classes must also be of the same family. Layers help by visualizing and enforcing the stable dependency and stable abstraction principles of module coupling. Each layer defines the stability of the modules and the direction of dependency. Modules in the feature layer should not reference each other. A layer is physically described in your solution by folders in the file system, solution folders in Visual Studio, folders in Sitecore along with namespaces in code. A layer is physically described in your solution by folders in the file-system, solution folders in Visual Studio, folders in Sitecore along with namespaces in Foundation Layer (previously call framework). The result of packaging a number of classes together is called a MODULE. Each module is represented by a single Visual Studio project. A module divides domain functionality into loosely coupled modules with clear boundaries, where each Module can contain Presentation, Business logic, Sitecore Content (Templates, layouts, setting items, etc.) and Data (Sitecore, SQL, etc.). One or more modules needs to reference another module in the same layer (which they should NOT do). how to identify a module and what should be in it. This entry was posted in Helix, Modular Architecture, Sitecore and tagged Helix, Layers, Modular Architecture, Module, Packaging principles, Sitecore, Solid on January 17, 2017 by Alan Coates. 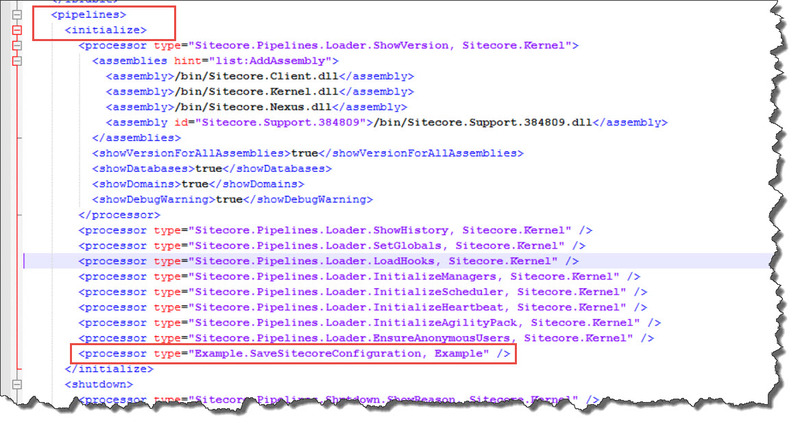 Finding Sitecore fields in the inheritance hierarchy website from HELL! We have all been there we take over a solution we didn’t develop and the complexity, hierarchy and structure of the templates is completely crazy!!! You have a field, but trying to find the definition and or what template it belongs to is a nightmare. The Solution How to find any field with 1 click! Open up DbBrowser (sitecore/admin/dbbrowser.aspx) navigate to the item and click on the field and it takes you directly to the fields definition. I can’t believe I have used so much time trying to unravel the base Template field to find where a field is defined in sitecore, when there is such a simple solution. This entry was posted in Sitecore and tagged Sitecore on July 15, 2016 by Alan Coates. I was at a customer to help identify why their Sitecore 7.2 client and logon was so slow! History, Publish queue or Event queue have to many entries, see my blog on how to fix this. But after ensuring all the previous issues were not the problem, I found a new issue with the properties table. The properties table in the core database had over 500000 entries, it was filled with SC_TICKET_xxx entries. Unfortunately the properties table does not have a created date column, so I could not write an SQL script to purge all the entries that where more than X days old. Remove all the entries that were older than X days. I knew Sitecore must have a class, which had created all these entries. So using DotPeek I started my search and found the TicketManager class. The TicketManager even had a IsTicketExpired function. I found that there is already a Sitecore agent that checks for any tickets that are expired and removes them. It is called the CleanupAuthenticationTicketsAgent for some reason this was not in the web.config, but it is easy enough to add see below. But the important step is to reduce the number of days to keep the tickets as the default is 180. The Authentication.ClientPersistentLoginDuration setting is responsible for determining how long before the ticket should expire (see the IsTicketExpired function in the image above). I set Authentication.ClientPersistentLoginDuration to 5 and it reduced the number of entries in the properties table to around 500, and then sitecore client and logon was much faster. Prior to writing this post I wasn’t aware but the is a blog about how sitecore sessions can expire. This entry was posted in Database, Performance, Sitecore and tagged CleanupAuthenticationTicketsAgent, Core database, Performance, properties table, Sitecore, TicketManager on May 11, 2016 by Alan Coates.